Update: Young Horses has confirmed the November 9 release date. Original: A listing on Nintendo’s website reveals that Octodad: Dadliest Catch is coming Switch. Even better, it could be just a week away. Release dates from Nintendo’s website have been inaccurate from time to time, but Octodad: Dadliest Catch is currently slated for November 9. 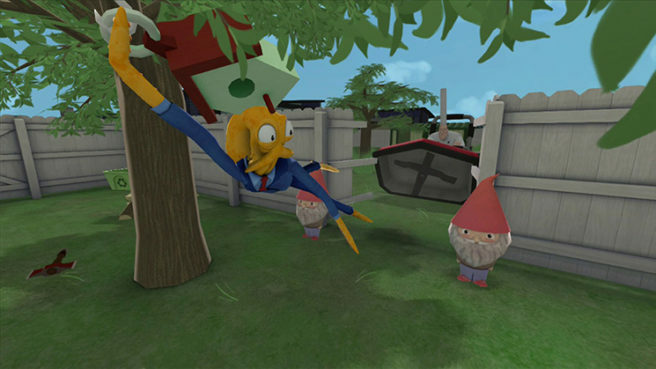 Octodad: Dadliest Catch made it to Wii U a couple of years ago. The game involves controlling “a dapper octopus masquerading as a human” in which you complete various family-related missions and chores. We have more information about Octodad: Dadliest Catch below, along with a trailer. In this sequel to the splash hit Octodad, our cephaloprotagonist has gotten himself in a bind between his wife’s mounting mistrust, and a disastrous trip to the local aquarium! Are you dad enough to control the titular octopus father as he strives to hide his nautical nature from his family while keeping his tangled tentacles intact? Octodad: Dadliest Catch will cost $14.99 on Switch.